There isn’t a day that goes by that we are not made aware of how much our bodies need and require exercise to stay healthy and help prevent disease. Unfortunately not everyone is listening. Without a doubt, our bodies are designed to be highly active and vigorous…not dormant. Believe it or not, the cancer risk reduction is staggering when exercise is used correctly-an estimated whopping 50 percent cancer risk reduction with little outlay in time, effort and money. It is so worth it. Researchers are continually working to understand the reasons how physical activity not only prevents but actually fights cancer as well. Proper exercise reduces levels of insulin which seem to be one of the main drivers for cancer. To prevent or treat cancer it is critical to keep insulin levels as low as possible as it causes cells to divide and grow more quickly. Regular exercise creates a low sugar environment (toned muscles gobble it up) that discouraged the growth and spread of cancer cells. Proper exercise triggers hormones that keep the T-cells that fight infections strong and healthy. 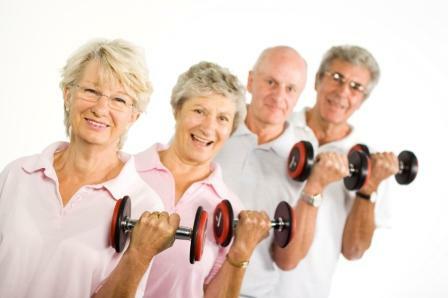 Note: if you already have cancer, strength training exercise will help repair and rebuild the immune system after it has been damaged by cancer treatment. Proper exercise re-balances hormones and reduces levels of circulating estrogen and testosterone-two hormone linked with many types of cancer. Proper exercise when used correctly with the right level of intensity (degree of effort) raises the heart rate speeding the circulation of anti-bodies and kill T-cells around the body to help find and destroy cancer cells. You can see how helpful this would be if you already have cancer. After exercising, the white blood cell counts can be raised anywhere from 50-300 percent triggering a repair and healing mechanism to help restore the immune system after it has been damaged by chemotherapy. Exercise helps people fighting fatigue caused by cancer treatment along with relieving stress and calming anxiety. It also helps cancer victims and survivors feel better about themselves and their bodies. Exercise is one area you get plenty “bang for your buck” and it just makes plain good sense. You experience long-term health benefits, avoid health problems and you simply just feel better. Our health and fitness come down to our own ability to take consistent action while replacing negative habits with healthier options. Exercise is a good thing but no one can do it for you. “Just Say No to Cancer” is a complete cancer-proofing program designed to help you cancer-proof your body. With a little help and tenacity you can determine your own destiny.